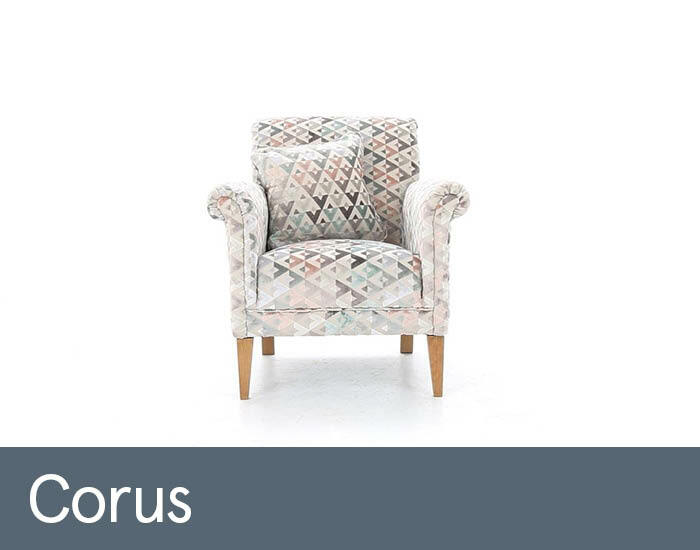 Corus's neat scroll arms and decadent rolled back are attractive details inspired by a bygone era. Yet precise, understated tailoring and clean upholstered lines give it a definite contemporary edge that will complement any style of living space. Its quality interiors and fully sprung seat and back rest mean that it’s an accent chair you’ll love relaxing in.